We have been getting hit with snow storm after snow storm this February. It has been relentless! Literally, we have had three large snowstorms in less than a week. All this snow has been making me crave Spring and citrus. Lemon has been calling to me lately. I think it's because my body is in need of warm sunshine, green grass and vitamin D. It's beginning to be that time of year when winter really begins to wear me down. 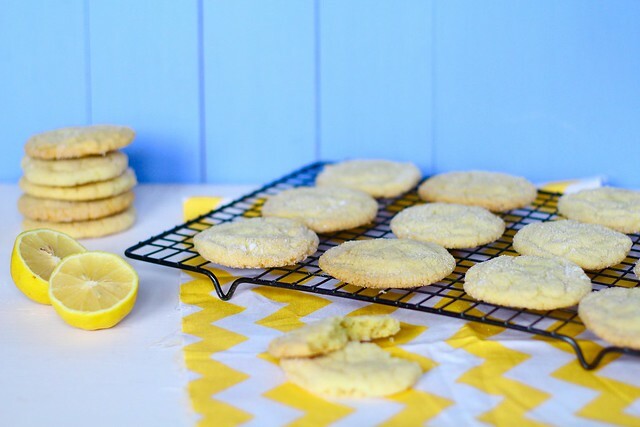 So, to help me with winter blues, I decided that lemon cookies were in order. 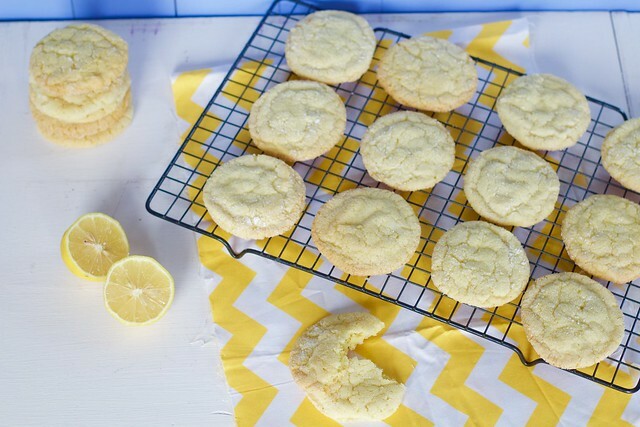 These are like Spring sunshine in a cookie. They are amazing. Sweet, soft and chewy, the way a cookie should be! I am a big lemon fan, so I think adding one more lemon for zest is necessary. If you don't like it being too overbearing, then you can do just two lemons. These cookies are so simple to throw together. I couldn't resist trying one (or two) as soon as they came out of the oven. Even my lemon hater husband couldn't resist! Preheat oven to 350º. Line baking sheets with parchment paper or silicone baking mats. Set aside. In a small bowl, whisk together the flour, baking soda, baking powder and salt. Set aside. In the bowl of a stand mixer, cream together the butter and sugar until smooth and fluffy. Add the lemon zest, egg, vanilla extract and lemon juice. Mix until combined. Gradually blend in the dry ingredients. Roll rounded tablespoons of dough into balls and roll in sugar. Place on prepared baking sheets, about 1 1/2 inches apart. Bake 10 to 12 minutes or until cookies are slightly brown around the edges and set in the middle. Let cookies sit on the baking sheets for two minutes before transferring to a cooling rack. Store in an airtight container for 1 week at room temperature.